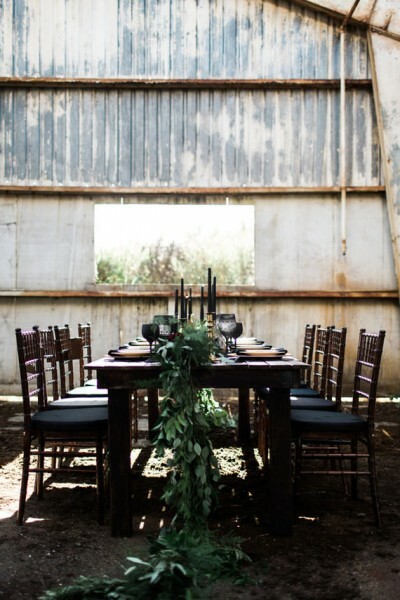 I personally think an abandoned warehouse or a gritty industrial space is the perfect location for a black wedding theme. 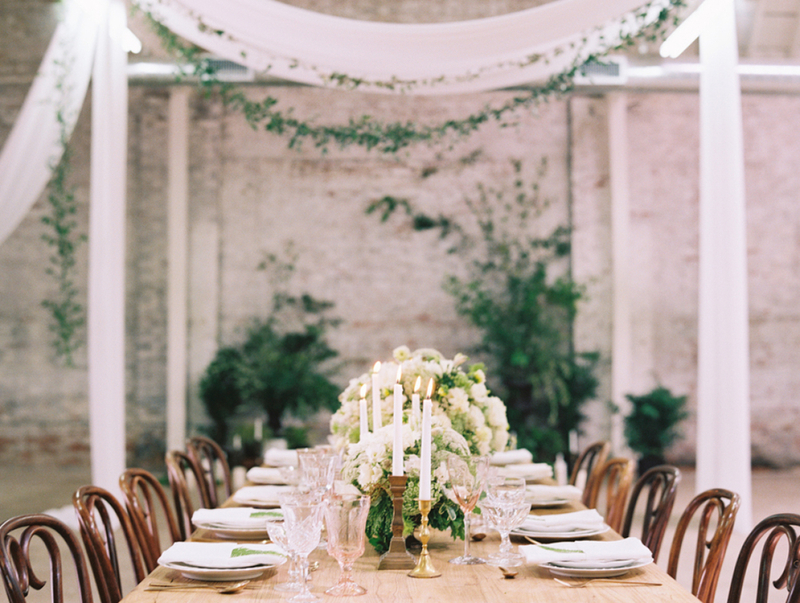 The location will lend itself wonderfully to a Halloween-inspired event, particularly if it features exposed brick walls and tall beams. 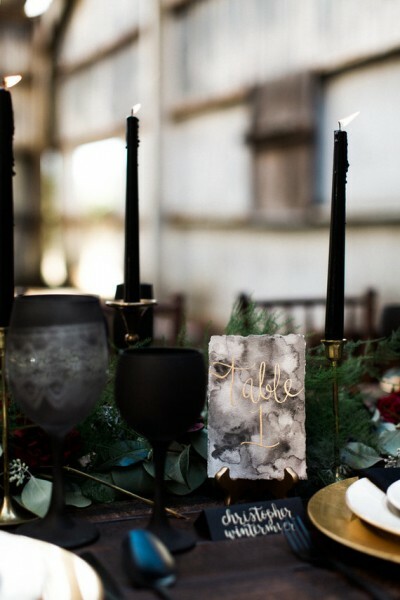 Create a gothic atmosphere by adding a mixture of black candles in charcoal black holders to your tables. Black chandeliers hanging from beams will add an industrial ambiance, but Edison bulbs are a fab option too. 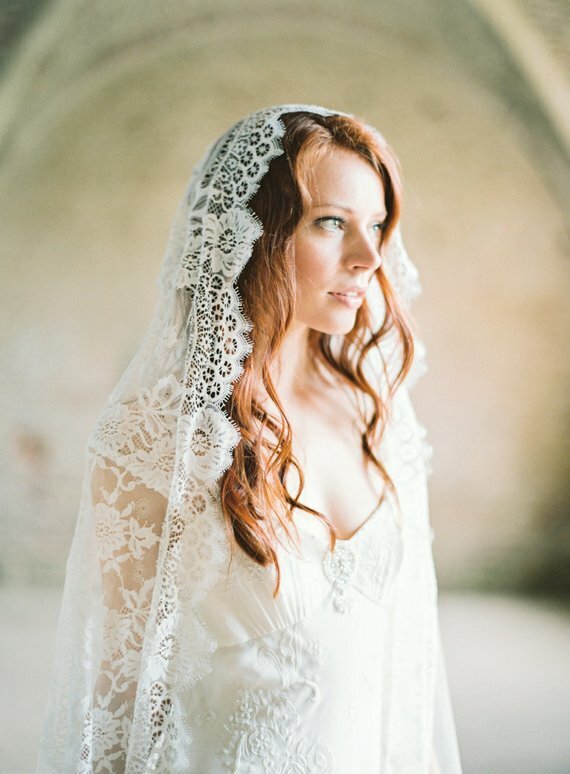 Black wedding dresses aren’t seen very frequently, which makes them a beautifully unique choice for your aisle style. 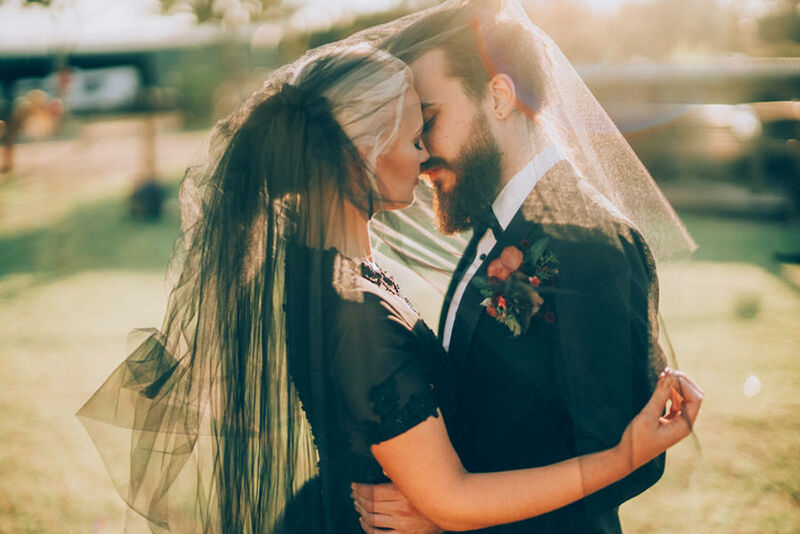 Black bridal separates teamed with a black lace veil will add to the gothic feel to your day, and is the perfect choice for a fashion-forward bride who isn’t afraid to dress outside the norm. 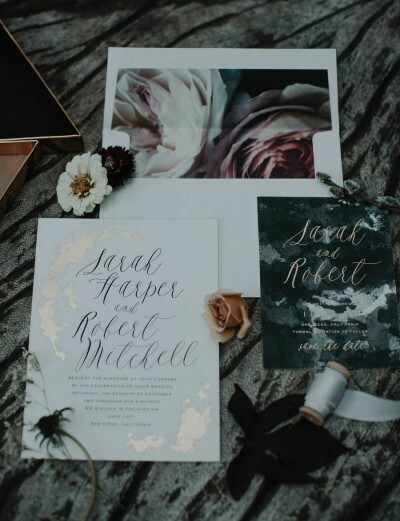 Give your guests a clue about your unusual wedding theme by designing your invitations with a black colour palette in mind. 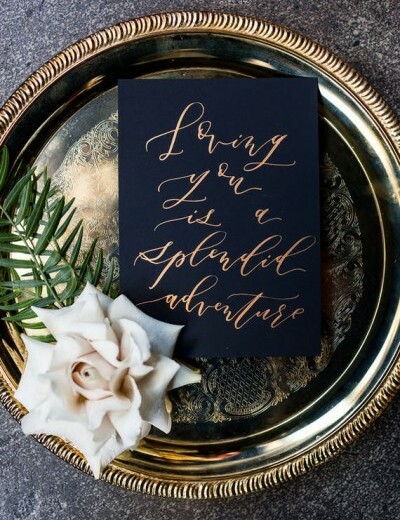 Golden calligraphy looks stunning against the contrast of a black background, and it’ll help add a touch of glamour to your stationery. 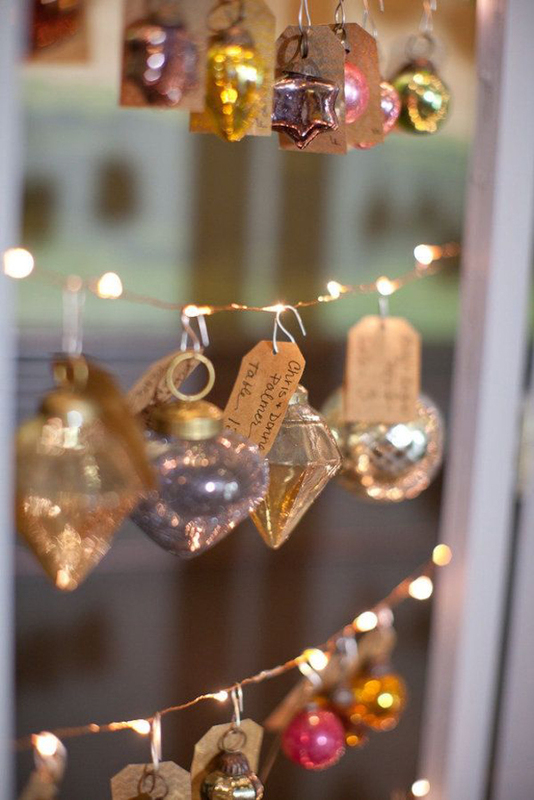 Keep the same design throughout your special day to keep everything looking co-ordinated. 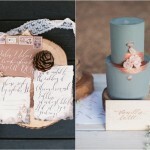 Stationery such as table plans, place settings and menus can add a huge impact to your wedding table décor. 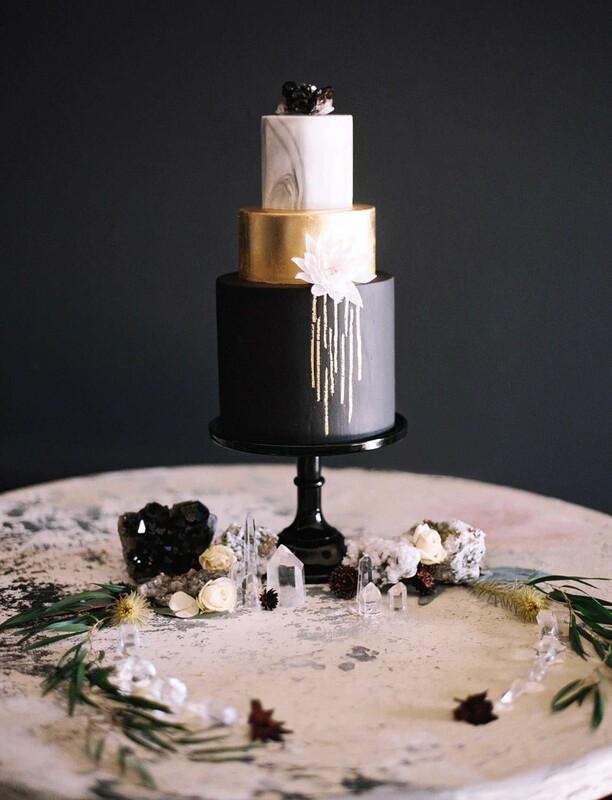 Looking for a wedding cake that is contemporary and unique? Then opt for a chic black design that will wow your guests. 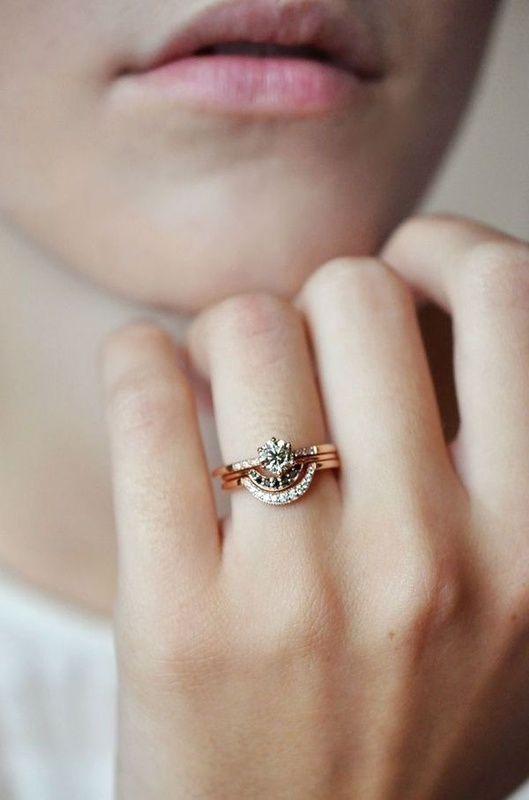 The striking colour looks magnificent adorned with blooms or gold geometric icing. A wedding bouquet consisting of black blooms will look truly extraordinary, and it’s something your guests probably won’t have seen before. 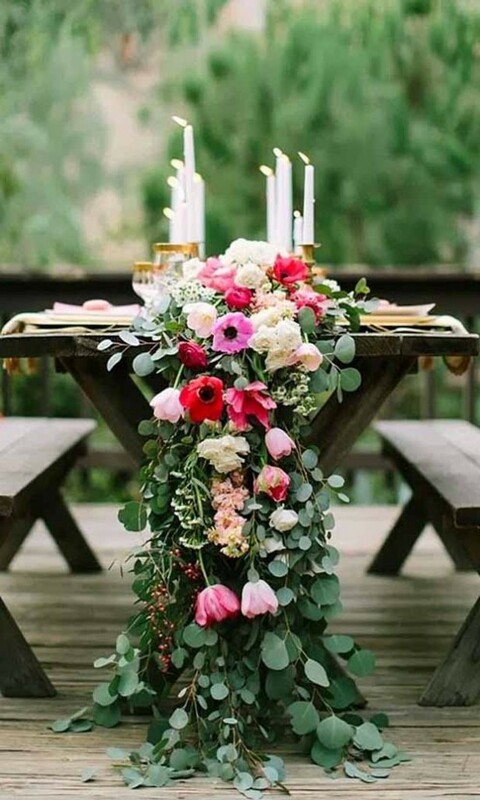 Discuss with your florist about which flowers are in season. 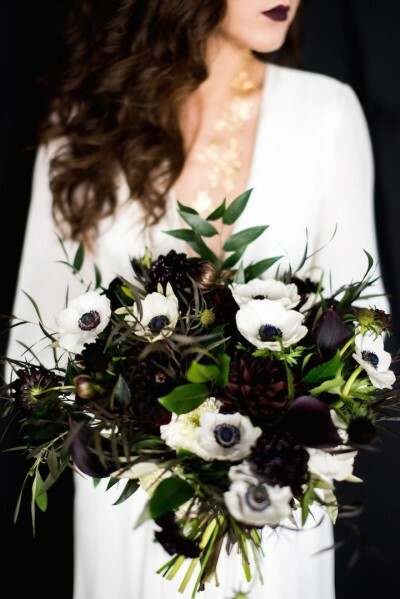 Black dahlias and chocolate cosmos teamed with dark purple tulips will create a seriously stunning bouquet. 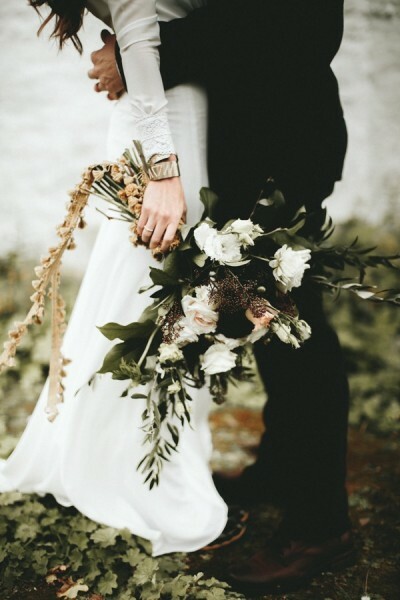 If you are donning a traditional white wedding gown, your bouquet will be a subtle nod towards your gothic black wedding theme. 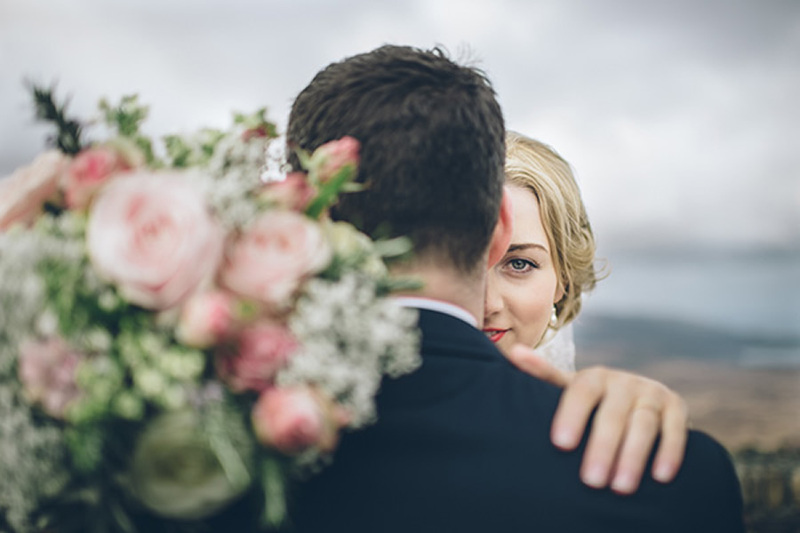 A black wedding theme is often overlooked in Autumn by traditional colours of the season, such as orange and berry red. 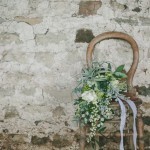 Although it can be quite a tricky theme to create, do it the right way and it’s oh so chic. 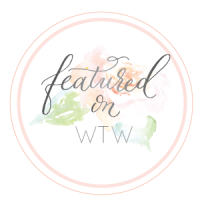 Go forth and check out their awesomeness! 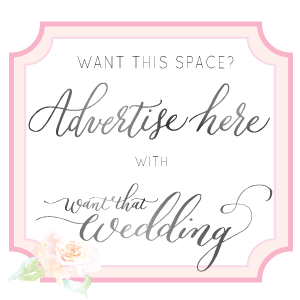 Also WTW sponsor The Wedding Shop has had a bit of a makeover with a revamped website and extended Selfridges offering. You’ll want everything! just amazing! this is definitely the coolest wedding cake! Love it! Very cool wedding. Love it !! just amazing! !